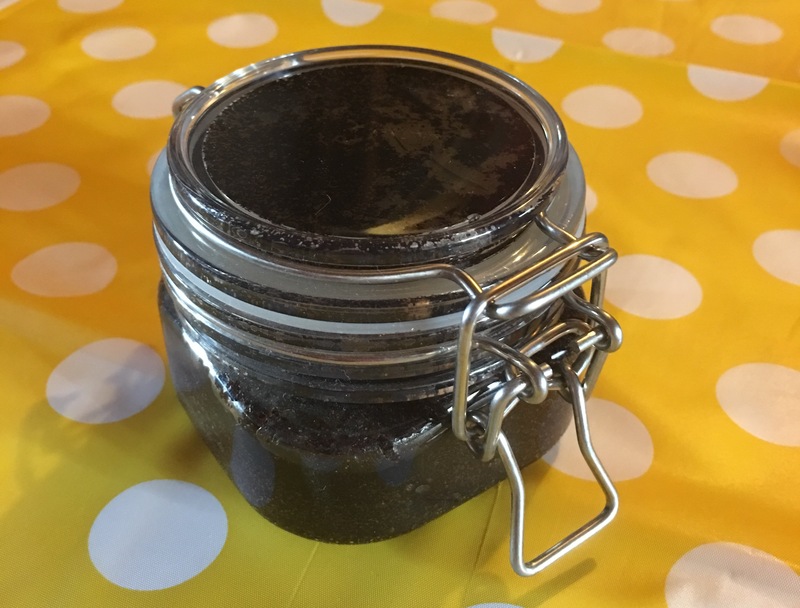 Our coffee scrub is intended for the face and body. Our scrub is made of only all natural ingredients formulated to exfoliate the skin and moisturize it simultaneously. May be beneficial for reduction of wrinkles, age spots stretch marks, spider veins. Works well as a detoxifier and skin firming. Ingredients: Arabica coffee grounds, organic sugar, walnut shell, sunflower oil, safflower oil, sesame oil, saponified olive oil, coffee absolute, mint Caution: May not be suitable for people with an allergy to any of the listed ingredients. For external use only. Discontinue if rash or irritation occurs. Keep out of reach of children.